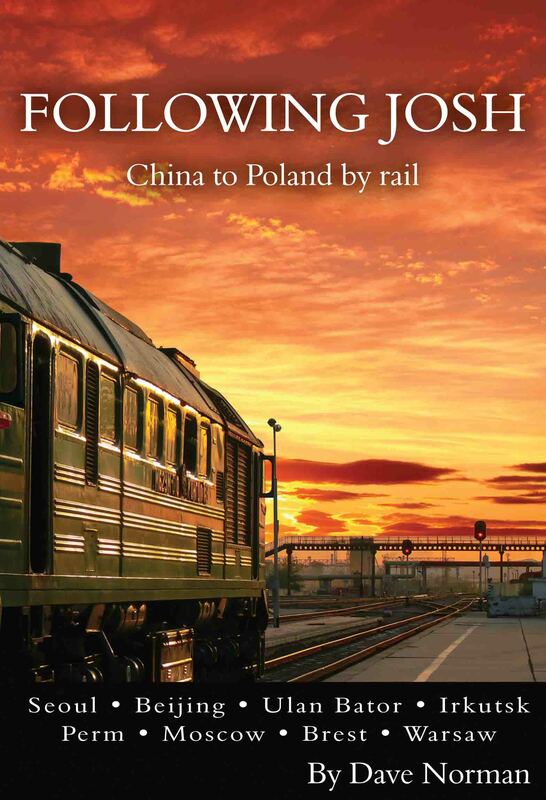 Following Josh is the amazing true story of two men going in opposite directions through life while travelling together from China to Europe by rail. It is a memoir of changing from a twenty-something kid into a married adult, and an amusing tour of the countries, cultures, and history they encountered along the way. How did Ghengis Khan conquer so much of the world...on horseback? And what's that have to do with Beijing's city planning? Why is paintball the perfect game in Russia, and isn't vodka more Polish than Russian? Following Josh does a tremendous job of illustrating history with anecdote, and weaving deft cultural observations with humor, background, and insight. 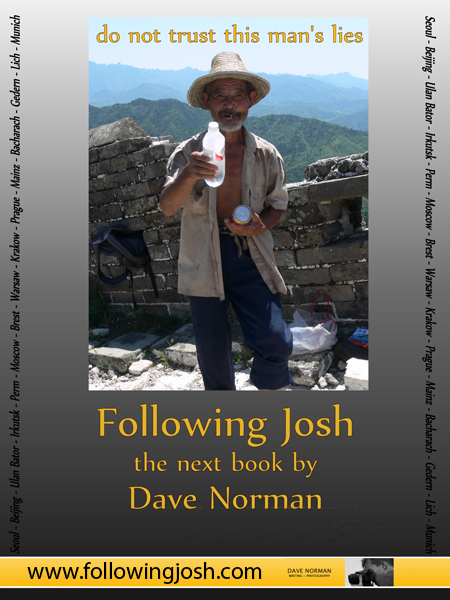 More than a memoir, more than a history, more than a travelogue, Following Josh is a modern adventure story wrapped in a thousand years of history. The story opens with money laundering and gunplay in Seoul, unfolds in the hutongs of Beijing, then hits the rails on the Trans Mongolian andTrans Siberian Railroads. Locked together in a dusty railcar somewhere in Mongolia, they realize that too much time and distance have come between them...and the childhood pals need to renegotiate their friendship as adults. Dave was interviewed in St. Louis Magazine about his travels, his writing, and the way he lives the adventures at the heart of his stories. Read the full interview right here! In the summer of 2007, the author left his childhood home in St. Louis on a flight to Seoul, to meet Josh Vise--a highschool friend he hadn't seen in years. Josh was just finishing a year teaching in Korea, and thought it time to come home to St. Louis and get on with his future. The author's journey would end in New York City, in a new apartment with a new job on the eve of his marriage. They were going in two different directions--out into the world, and back home from it--on the same trip. They expected a vacation. They hoped for adventure. They got much more than they bargained for. It's obvious that people you don't see in years will change; the question is only how. The conflict comes when you treat the same person you've always known, the way you've always treated them. So against the backdrop of Tiananmen Square and the filthy streets of Ulaan Bator, in thumping Russian discotheques and Belorussian border shakedowns, this is the story of Dave Norman and Josh Vise reinventing themselves and their friendship. It's also a humorous look at the people you meet and places you see when you make the world's longest train trip even longer with a detour through Mongolia...and wind up tent-hopping at Oktoberfest getting out-partied by a sprightly octogenarian. © 2011 f64publishing.com. All rights reserved.